The SUV has been one of the top choices for family vehicles for about as long as it’s been around, and Middletown and Mechanicstown drivers can get a great SUV and save by driving home a used Honda Pilot from Middletown Honda. The Pilot has been in production for over a decade now and has brought many changes to the SUV market; while any Pilot will serve you and your family well, we have a rundown of some recent models and what you can expect when you get behind the wheel at our Middletown used car dealership. And that’s just the start of it. 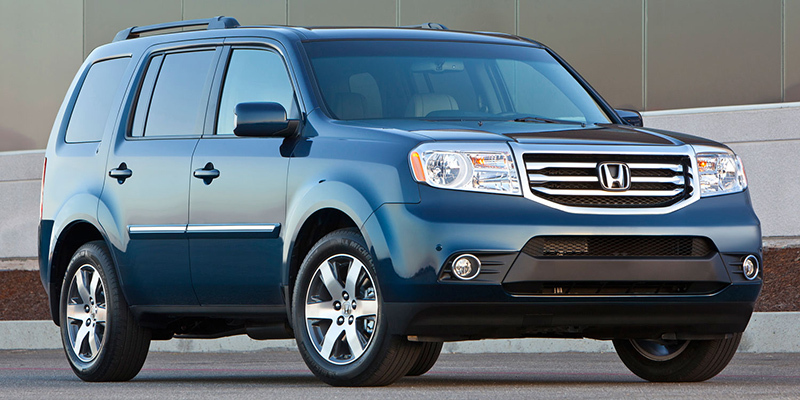 Even though these features were not all standard on the Pilot from 2009 to 2012, you’ll still find many of them in our used vehicle selection, as drivers frequently added them on. For confidence in your behind-the-wheel experience, the same 250 hp V6 powers each second-gen Pilot, ensuring that drivers will have little trouble getting where they need to be and doing so quickly. The classic, first generation Honda Pilot ran for six years, giving drivers access to a wide range of choices in their SUV. The first three model years essentially produced the same vehicle, which is unsurprising considering how popular it was; after all, the Pilot was the first vehicle in its class to offer a third row of seating to make it easy to fit the whole family in. A 3.5L 240 hp engine was standard on the Pilot for those initial years and was paired with an automatic transmission for added convenience. All of the first three years of the Pilot were all-wheel drive, but from 2006 onward, drivers will find both front-wheel and all-wheel drive versions. 2005 saw the V6 revised slightly and 2006 brought some minor exterior changes, but by and large, these first six years were pretty similar. Modern tech options started showing up—Bluetooth, a sunroof, DVD player options—toward the end of the generation, so you may stumble on some of those in our inventory if you’re looking for them. While we will be happy to tell you anything about our used Honda Pilot selection, we’ve found that most of our Mechanicstown and Middletown drivers prefer to visit us and take one for a test drive and see the SUV in action firsthand. So why not visit our showroom today at 520 Route 211 E. in Middletown? We can’t wait to help you find your next car.